This interview was first published in March 2015. Rose Slanic is the General Manager of Eleven Seven Label Group, a full-service physical, digital and mobile independent record label operating with global sales, distribution and comprehensive marketing capabilities. Rose got her start in the industry after attending a music business program by Harris Institute of the Arts in Toronto. After working her way up in several Canadian independents, she ended up at Universal Music Group, where she was a product manager for DreamWorks Records, working with artists including Weezer, Nelly Furtado, Papa Roach, Sheryl Crow and Peter Gabriel. This led to a position as a manager at Chris Smith Management. While there, she was asked by Roadrunner Records to open up the Canadian office as GM of Roadrunner Canada, a position she held for almost seven years. Upon seeing her success getting bands Baptized in Blood and Bleeker Ridge to the top of the charts with a small staff at Roadrunner, CEO of Eleven Seven Music Group, Allen Kovac approached her about opening a Canadian office for his label. 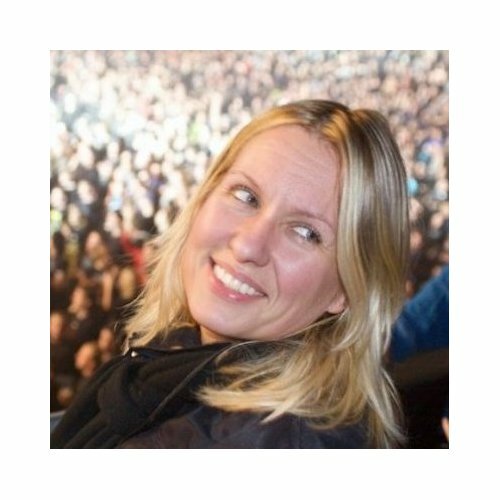 Rose started at Eleven Seven in October 2013 as a product manager and then was eventually brought to New York and promoted to GM, where she works with artists including Papa Roach, Hellyeah, Apocalyptica, Art of Dying, Nothing More and Motley Crue. Rose spoke to me about her career in the rock music industry and how she has seen the marketplace evolve since her career began. She also discussed how rock-focused labels like Eleven Seven are building careers and how artists can get their music heard in the current market. Thanks so much for taking some time to talk, Rose. How did you get into the music business? From a young age, I thought I would work in travel and tourism because that was the business my family was in. When I started in that program, I wound up taking a year off and ended up in a music business program at Harris Institute of the Arts, based in Toronto. I realized that this was what I was meant to do. From there, I did an internship and got recommended for a job as a receptionist at an independent management company and record label called Alert Music. I worked my way through that company and ended up at another independent called Attic Music Group as a publicist and national promo person. Next, I went to Universal Music Group where I was a product manager for Interscope, Geffen and DreamWorks Records, where I worked with everyone from Weezer, Nelly Furtado and Papa Roach, to Sheryl Crow and Peter Gabriel. Through my work with UMG, I developed a relationship with Nelly Furtado and her manager at the time, Chris Smith, which led to us working together. When I went to work for Chris Smith Management, I was a day-to-day manager at for a few years for some artists in the Canadian industry, most of which were global. I got a call from Roadrunner Records in New York, who asked me if I would be interested in running the Canadian office, which was just opening. I was the GM at Roadrunner Canada for about six-and-a-half years. I loved it because I had the freedom to learn a lot and do a lot more with the artists. I loved each opportunity I had in my career for different reasons. I think you learn something everywhere you go. Personally, I learned how different elements of the business operate, which contributes to what I am able to accomplish now. Knowing what I know now, if given the choice, I’d rather be at an independent or a management company than a major label. That’s understandable. It’s where you can do real work without having to file a lot of paperwork. Was it Roadrunner that brought you to Eleven Seven Music? I met CEO Allen Kovac in Toronto. When I was at Roadrunner, we signed two domestic bands: Baptized in Blood and Bleeker Ridge. We had a small team there, as there were only four of us at the Canadian office at the time, but we were able to get Bleeker Ridge Top Five in Canada and on a Jagermeister Tour with Buckcherry and Papa Roach. Someone introduced Allen and I in the catering area of the venue. He was asking me questions about our operation because he was really interested in the fact that we had such a small team but were able to perform so effectively. He said that was why he gave Bleeker Ridge an opening slot on that tour. Eventually, Roadrunner started cutting staff, and Allen reached out to a bunch of us to ask us how we might represent his label. He flew me to New York to meet, then hired me to open the Canadian office. He wanted me to focus on helping his releases through the complex Universal system and to give my personal touch to the work in the market. I did that for about a year, and then he asked me if I was interested in coming to New York to help him run Eleven Seven. I started in October 2013 as a product manager and then got promoted to General Manager. The rapid growth of the company in a relatively short period has been exciting! We have three record labels under the Eleven Seven Music Group: Five Seven Music, which is the alternative label; Eleven Seven, which is the original rock label and Better Noise, which is a brand new rock label that houses some bands with history and some new signings. On the management side of Allen (Kovac)’s companies, there’s Tenth Street Entertainment, which is overseen by Chris Nilsson. And our publishing company, called 5-19 Music Publishing. The rock genre used to be mainstream, but now it has really become niche. The touring artists that are current are all pop and hip hop artists. From your perspective, what is the future of rock music? I think it is less that rock isn’t mainstream and more that the definition of what is rock music has changed. If you look at a band like Mumford and Sons – they are rock, but then Papa Roach is also rock and so is Slipknot. It is all different, but it is all rock. It is there, all over the charts, but it is so varied that some of it gets wrongly-categorized as pop. The major shift on an industry level has occurred because a lot of labels now throw rock music at the wall and hope it sticks. They don’t want to put a two-year plan together to develop artists. And with rock bands, you need to tour. I don’t think many labels wanted to commit to a long-term plan with rock acts once they saw what a pop single could do for them with minimal artist development. And at this time, the business revolves around single sales instead of album sales. Rock bands still rely on full-length album sales – a project from start, to finish – and not just one or two songs. Yes. Having a body of work is still relevant and important to a rock band. A pop artist is often judged by his/her last single. Right. When we started this label, Allen saw a lot of opportunities when major labels started to drop rock bands. The rock bands ended up with nowhere to go. There are a lot of rock labels that are very niche. Allen has been much more open-minded about bringing some variance to our rock label and to the genre as a whole. He started with Buckcherry, then ended up picking up established, iconic artists like Motley Crue. He used those types of artists and catalogs to attract newer bands with great potential. Nothing More was the first real developing artist that Eleven Seven signed. The band’s first single went to #1 at Active Rock and stayed there for 3 weeks. Their second single went Top 10. And now, we’re letting those two singles run their course at radio so when we go in with the third single, there will be a thirst for some new music from them. Things have been going really well – it is great to see when it works! I still know a lot of rock folks, and yet I see a dearth of rock bands. It seems like there hasn’t been a new rock band like The Foo Fighters or Stone Temple Pilots – someone who has written a number of back-to-back hits – in many years. What does the rock marketplace look like now? Is rock radio still impactful to a rock band’s career? I think a perfect example of how rock works these days can be seen in a band like Nothing More. No one knew them outside of the state of Texas. They did a few select dates outside of their state, but that was it. Getting them to rock radio was what allowed us to get a significant amount of national traction and sell-through. I don’t know the single download numbers off the top of my head, (ed note – later provided numbers to date totalling 91,216 as of 3/6/15) but the full album has scanned about 50,000 units, based largely on their #1 single. The touring aspect has also been really important, along with the marketing and everything we do. We don’t just try to put the album out and then work a single. We converge our activities with those of all our partners (promoters, media, etc). With every artist, we try to find a market entry point that allows the artist to make that emotional connection with their audience and then we syndicate everything we do around it. We don’t engage in the short-term thinking that is part of the way labels work other types of music. We are in it for the long haul with all our artists. For most of our artists, we commit to two years and three singles at least. We don’t just think of ourselves as a record label. We think of ourselves more as an integrated marketing company. A lot of our bands are also clients of our management arm. This helps us work together to find the point of entry and achieve convergence. The label came about because the marketing setup at the management company was so elaborate that Allen just brought things in-house by creating the label. A perfect example of this phenomenon is what we did recently with Mötley Crüe. We just put the word out about the last North American leg of their final tour, which happens this summer. Our whole company worked as a team last month on the roll out of the dates. We sat down and talked about when the tour dates are and whether or not we were going to do another press conference or something different for a big announcement. We got the input of every department to figure out how we were going to run the promotion. We did Satellite Media (regional TV) and Radio tours for the tour markets, National TV appearances (morning and late night) and loads of news and features went up online that week. We partnered with Google Play to give fans the band’s Greatest Hits album for free and broke records with how many we gave away. The news was everywhere; you couldn’t miss it. We always look for all the opportunities first instead of just putting out a single and working it after the fact. You can’t depend on singles. I think one of the most important things to figure out with any artist is what fans’ emotional connection is to the band and their music and how to spread that. What is it about a song that will tie people to it emotionally? How do we go beyond just putting a single out at radio and deliver it differently to the audience? What is the story behind the music that we can get the band to talk about that people can relate to? Each single is more than just a song. My experience with the traditional release system is that it was often like playing the blame game. You would go to radio with a single, and radio would ask, “What’s going on with the tour?” So, you would go to the booking agent, and the booking agent would say, “There isn’t enough press.” And then when you would go to the PR people, they would say there wasn’t enough to write about. Everyone always needed something else in order to do their job properly. I commend Eleven Seven for putting together something that works in a world that is not as rock-oriented as it has been previously. I think it’s fascinating to see someone like Allen doubling down on rock with a rock-focused label in a time where the popularity of the genre seems to be dwindling. I didn’t even know Eleven Seven was signing acts that weren’t established, but it’s great to see you doing well with them. What are you looking for in new acts? In all honesty, there are a couple things we’re looking for. We look at bands that have an established fan base on social media and have had songs do well in the past. But we also look at developing artists that do not necessarily have a particularly strong history. The selling point to us and especially to Allen, because he does a lot of the A&R, is, first and foremost, whether or not he thinks the band has talent and whether or not their vision matches his. If these elements are in place, he is open-minded about signing them. For example, on the Better Noise label, aside from Apocalyptica, who has a background and have delivered several hit singles with a lot of guest appearances, we signed new bands that some people have never heard of. We signed a band that Rob McDermott (former manager of Linkin Park) manages called From Ashes to New, because Allen saw potential in them. We also signed Art of Dying, a band that was on an imprint run by the guys from Disturbed through Warner Music. They had two Top 20 singles and one Top Five single. They relentlessly toured and sold 50,000 units in the States last time around. We listened to their demos, and Allen liked what he heard. We put them in the studio with David Bendeth (Producer – Breaking Benjamin, Papa Roach, Drowning Pool). We took a leap of faith with them, thinking if we put them on the right tours and developed them strategically, they could do even better than they’ve done in the past. When you say, “strategically market” for a developing band, what do you mean? In other words, when a new band comes in the door, particularly a baby band or a band that has mismanaged the business side of things thus far, what do you regard as essential to helping them grow? In the beginning stages, we want to make sure everything looks right. We want their image to be intact and the proper social media pages and website to reflect it. We also want to make sure we’re launching everything properly, in the proper order. For every band, this process is different. For more established bands, we might go to radio first, but for baby bands, we might start with digital streaming services and put them on the road prior to even going to radio. In this time where everyone has a phone, we have to embrace the technology rather than fight it. I think a lot of industry people have been fighting technology. People have tried to get rid of new technology instead of embrace it and take advantage of it. Allen definitely believes we should embrace it and take the lead, do what we can on digital and streaming. I feel like a lot of people are still worried about iTunes and physical product, when the business is not heading in that direction and they should be working with Spotify. Polishing the image, the bio, the press shots the website and social media pages sounds like the starting point and something that is necessary across the board regardless of the artist in question. Yes. And we end up fixing a lot of that for artists that come to us. Every release has its own unique story and a unique opportunity for marketing based on an artist’s history, on the type of artist they are and on the opportunities and entry points we have. So, the definition of strategic marketing really depends on the artist. To learn more about Rose Slanic and the work she does, visit the Eleven Seven Music website or follow her on Twitter.